Pulpitis is painful inflammation of the tooth pulp, the innermost part of the tooth that contains the nerves and blood supply. The most common cause of pulpitis is tooth decay, and the second most common cause is injury. Mild inflammation, if relieved, may not damage the tooth permanently. Severe inflammation may cause the pulp to die. Pulpitis may lead to infection, in which a pocket of pus (periapical abscess) develops at the root of the tooth. An untreated infection in a tooth may spread to the jaw or to other areas of the body (such as the brain or sinuses). Pulpitis causes intense tooth pain. If an abscess is present, the tooth becomes extremely sensitive to pressure and tapping with a dental instrument. To determine whether the pulp is healthy enough to save, dentists can do certain tests. For example, dentists can apply a hot, sweet, or cold stimulus. If the pain goes away within 1 to 2 seconds after the stimulus is removed, the pulp may be healthy enough to be saved (called reversible pulpitis). If pain persists after the stimulus is removed or if pain occurs spontaneously, the pulp may not be healthy enough to save (called irreversible pulpitis). Dentists may also use an electric pulp tester, which indicates whether the pulp is alive but not whether it is healthy. If the person feels the small electrical charge delivered to the tooth, the pulp is alive. Sensitivity to tapping on a tooth often means that inflammation has spread to the surrounding tissues. Doctors sometimes do x-rays to determine how far the inflammation has extended and to help rule out other disorders. The inflammation stops when the cause is treated. In reversible pulpitis, pain and inflammation go away after dentists remove any decay (cavities) and then restore the tooth. When pulpitis is detected early, dentists sometimes place a temporary filling containing a sedative that can eliminate the pain. This filling can be left in place for 6 to 8 weeks and then replaced with a permanent filling. 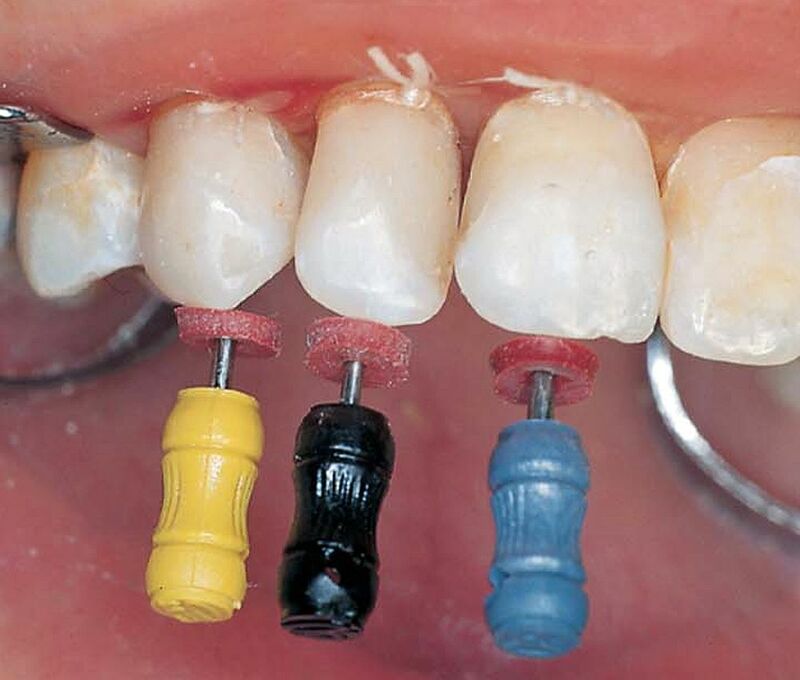 Most often, dentists place a permanent filling immediately. In irreversible pulpitis, pulp damage is extensive and cannot be reversed. The only way dentists can stop the pain is by removing the pulp via root canal treatment or tooth removal (extraction). If people have other signs of infection (such as a fever), dentists give antibiotics taken by mouth. Sometimes root canal treatment is repeated if the symptoms do not go away or worsen.